Although I received complimentary products from Little Green Pouch to provide this review. All opinions are my own. 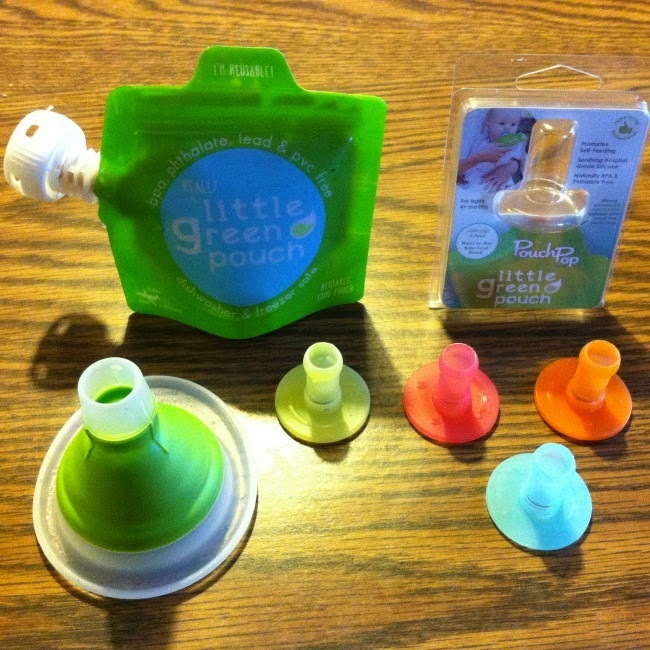 I was recently contacted by Little Green Pouch to review their new Really Little Green Pouches. I have worked with them in the past and love their products. 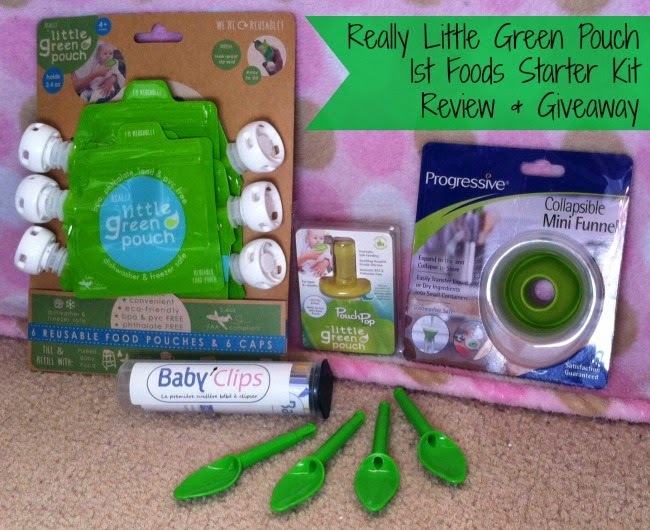 Since Peanut is still in the beginning stages of starting solids, I was sent the Really Little Green First Foods Starter Kit to review. Regularly $39.96, but on sale for $34! I was nervous about trying this out with Peanut as he has been refusing baby food recently for some reason. He has still been nursing like a champ, gaining weight like he should, and staying hydrated. And although babies only really need breastmilk for the first year, I can't help but be a little concerned as I never went through this with his sister, at least of what I can remember. She started refusing baby food at around 9 months, but that was because she wanted more solid foods. Pouch FULL of baby food. Pouch Pop includes 4 different colors! I have also been reviewing "Feeding Baby" by Clancy Cash Harrison, so I had a ton of new baby food recipes to test out with Peanut in hopes of him getting over his aversion to baby food. I will update this review once I can actually get him to test it out. He has his 6 month check-up on Thursday, so hopefully the pediatrician will have suggestions. I think this starter kit would make a GREAT gift idea for babies 4m+. And the Really Little Green Pouches for even toddlers! I am going to include it in my 2014's Holiday Gift Guide (coming soon). 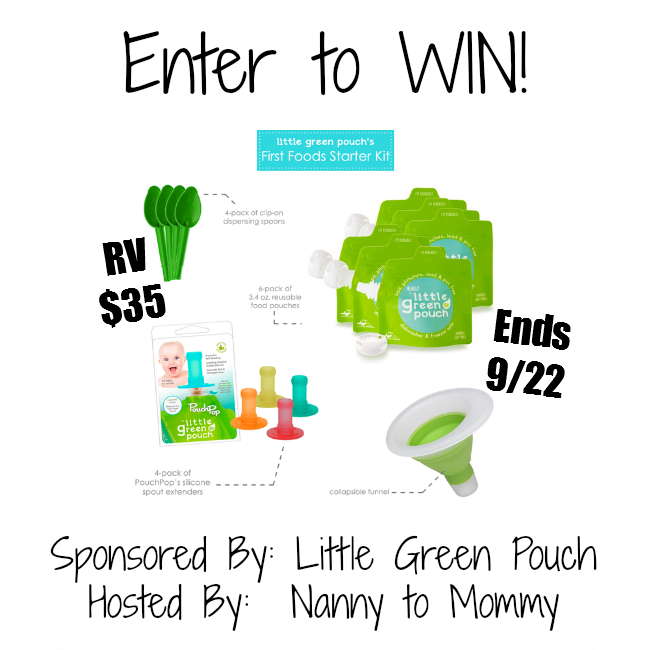 One lucky Nanny to Mommy reader will win the same kit I received! Open to US only, must be 18+ to enter. Winner is chosen via Random.org, all winning entries are verified. No social media was involved with this giveaway. Sponsor is responsible for prize fulfillment. This hop has two Grand Prizes. 1st Prize is from Cariloha for one set of Bamboo Sheets worth $179-$199. 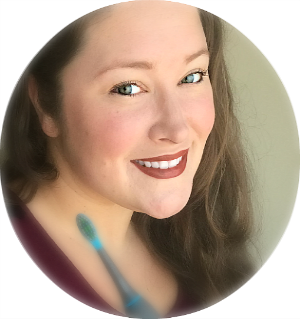 You can check out Heather's review to learn more about them and what they carry. 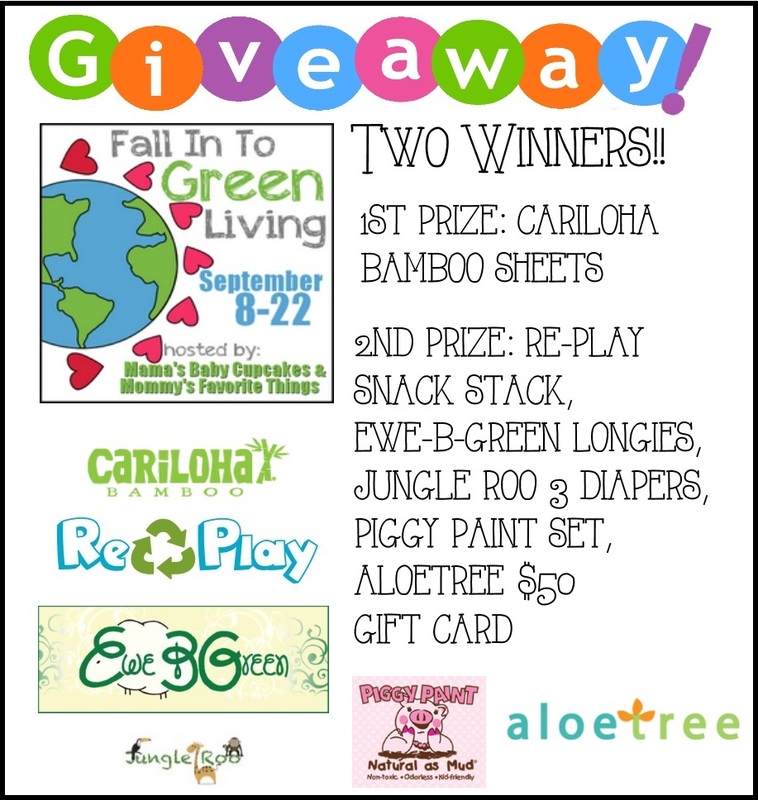 The Kid's Prize pack offers wins from Re-Play, EweBGreen, Jungle Roo Cloth Diapers, Piggy Paint, and AloeTree worth around $186. 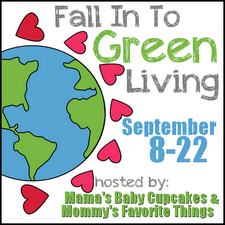 Our list of reviews are below, and I encourage you to check them all out to learn more about each great company and their green products. Re-Play Review, EweBGreen Review, Jungle Roo Review, Piggy Paint Review, and AloeTree Review. This would be for my sister who had her first baby this year...giving me my first nephew! This would be for our baby that is due at the end of the year - I love pouches for feeding but they're so wasteful! These reusable ones that I can put our own food in would be amazing. This would be for my daughter and future children. So tired of buying pouches, such a waste and expense. As our daughter is 2 and can eat plenty of other food, I have stopped buying pouches for the most part. With the next baby, I would like to never buy one! I love that the pouch is dishwasher and freezer safe! I would love to win this for my new and first baby! Thanks! I love that I could make my own food mixes myself and put them in the pouches! Easy food on the go and I would know everything that's in it! Hope to win it for our first little one! I like how the food comes right out into the spoon. I would give it as a shower gift for my friend who's having a boy in November. Thanks! I love that it is reusable! I would use it for my little girl, we will be exclusively making her baby food! I love that they are dishwasher and freezer safe. not to mention they are reusable I would definitely use this for my kids. We are having our first baby in January. I would love to have them for when baby is ready to start trying solids! I am tired of buying expensive and bad for the environment applesauce pouches which my son loves. This looks pretty easy; I like the little funnel. I also like that they can go in the dishwasher. I really like that you can make your own food and put it in the eco friendly pouches, much better than buying the pouches that are sold. I like the silicone spout extenders...love the idea to cover the hard edges of where the cap screws on. It would be for my youngest, but sure my two older kids would like them too. I like that it has a zip seal & is reusable. I love that they are reusable. I want to win these for my little guy who is getting ready to start solids in a few weeks. I plan to make his baby food so these will be great. I would give these to my co-worker who is expecting this month. I wish these had been around when my daughter was little. I love the clip on spoons! This would be for my new little one who is on the way. I love that I can put my own food into the pouches and not have to buy already made pouches. 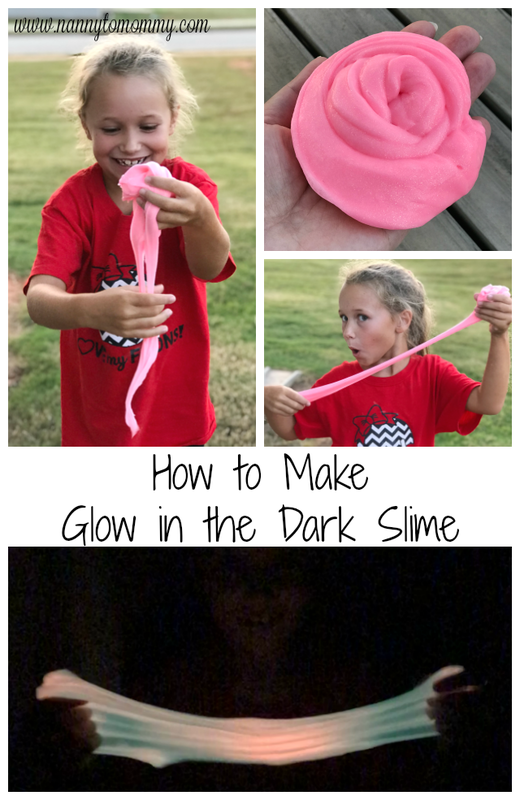 I love that they are reusable, I would share these with my kids. I'd use them for lunches. My son just started eating the puoch foods from the store and loves them. I was just thinking I would love to have one of these to put other foods in and look here it is! I would love to win! Thank you. I love that they're freezable and reuseable... with so many food allergies in our house we cant really do the convenience foods like pouches. I love that they are reuseable!! Our baby is just transitioning to solids at 9months, and I really would love to use more home blended foods with convenience! 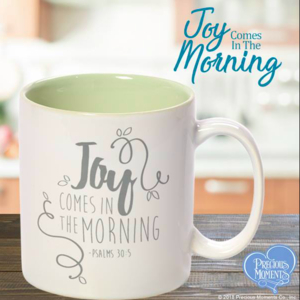 I love that they are reusable and I would give them to my niece for her new baby. Thanks for the chance to win it. I love that they are reusable! Eco and cost friendly! Oh and I forgot! They would be used for my daughter who was born in July! I would love to win these for my daughter. she loves to feed herself pouches and be independent. These would be great for my grandson. I love that I can refill the pouches and Carter can eat them like thru a straw. This would save so much mess! I'm about ready to start making baby food. This would help tons! I like the little mini funnel. I love making baby food and I love how these are not as messy when on the go. 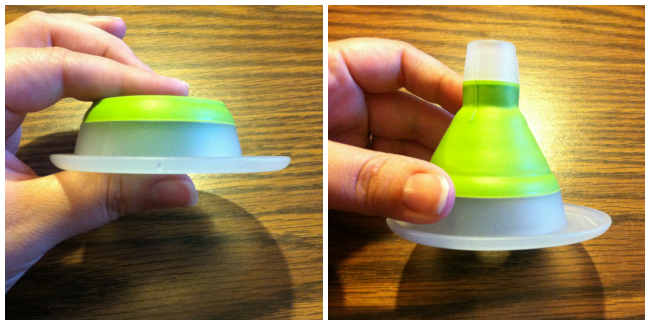 I love that this brand has a neat and collapsible funnel. That would make it so much easier to fill the pouches with our homemade foods.